The Kerala High Court on Friday allowed an 18-year-old boy and a 19-year-old girl to live together, dismissing a Writ of habeas corpus filed by the girl's father. 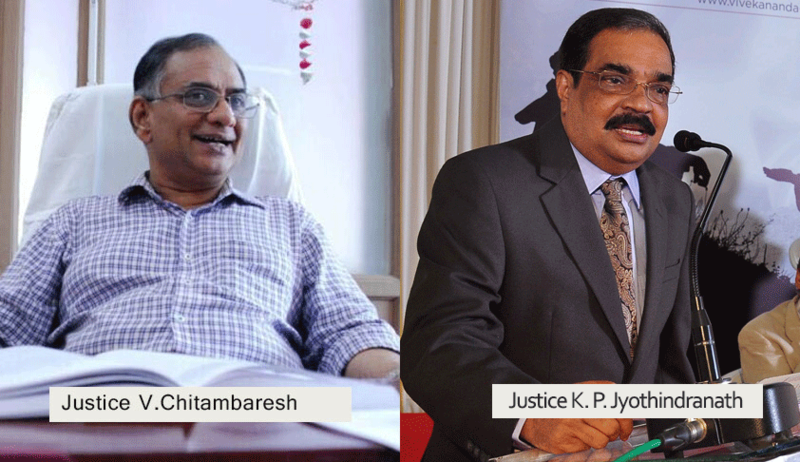 The Bench comprising Justice V. Chitambaresh and Justice K.P. Jyothindranath noted that live-in partners cannot be separated by Courts by issuing the writ of habeas corpus, provided that both the partners have crossed the age of majority. It observed, "We cannot close our eyes to the fact that live-in relationship has become rampant in our society and such living partners cannot be separated by the issue of a writ of habeas corpus provided they are major. The Constitutional Court is bound to respect the unfettered right of a major to have live-in relationship even though the same may not be palatable to the orthodox section of the society. We are therefore constrained to dismiss this writ petition declaring that the detenue is free to live with the fourth respondent or marry him later on his attaining the marriageable age." The girl's father had approached the Court alleging that she had been illegally detained by the boy. He had submitted that the boy had not completed 21 years of age, and was hence a "child" as defined under Section 2(a) of the Prohibition of Child Marriage Act, 2006. He had therefore asserted that there can be no valid marriage between his daughter and the boy, and that any offspring born to them can only be an illegitimate child in the eyes of law. The duo, however, appeared before the Bench and claimed that they were in a live-in relationship out of their own free will. The Court observed that that the detenue has attained puberty and has the capacity to marry both under Section 251 of Mahomedan Law as well as the provisions of the Act. But the marriage of the fourth respondent who has not completed 21 years of age is voidable at his instance under Section 3 of the Act on the ground that he was a 'child' at the time of marriage. Examining the issues before it, the Court noticed that the girl had attained puberty and had the capacity to marry, both under Section 251 of Mahomedan Law as well as the provisions of the Act. Besides, it took note of the fact that the marriage of the boy, who had not attained 21 years of age, is voidable at his instance under Section 3 of the Act, on the ground that he was a "child" at the time of marriage. The Court then inter alia took note of the Supreme Court's judgment in the infamous Hadiya case, wherein the Apex Court, while setting aside the High Court order, had opined that the High Court had transgressed the limits of its jurisdiction in annulling the marriage in the course of hearing of the Writ Petition. Thereafter, opining that the girl, being a major, had every right to live with the boy in a live-in relationship, the Court dismissed the Petition, observing, "It transpires that the detenue is living with the fourth respondent out of her own volition and she being a major has a right to live wherever she wants to as is permissible or to move as per her choice. The detenue has every right to live with the fourth respondent even outside her wedlock since live-in relationship has been statutorily recognized by the Legislature itself."